Melt butter in a medium saucepan. Allow to cook until beginning to brown. Stir in brown sugar, cinnamon, salt, and finally the 1 cup of milk. Whisk together egg yolks. Slowly pour warm butter mixture into egg yolks, whisking constantly. Return egg yolk mixture to sauce pan. Cook over medium heat until mixture thickens and coats the back of a spoon, about 5-10 minutes. Place heavy cream and vanilla extract in a large bowl with a fine mesh strainer over the top. Pour thickened custard through strainer into cool cream. Stir to combine Chill in refrigerator until cold (at least 3-4 hours or overnight). Freeze in your ice cream maker* according to manufacturer's instructions. Add scotch or bourbon during the last few moments of churning. Transfer to a freezer-safe container to store. Alternatively, pour your custard base into a sturdy container and place it in the freezer. Remove the custard about every half-hour or so and give it a vigorous stir with a spatula, stick-blender, or hand-held mixer until you have an ice-cream-like consistency. This process works adequately, but does take 2-3 hours for optimal results. *Although you don't need an ice cream maker to make ice cream, the machine's churning process develops softer, creamier, and more scoopable ice cream. This sounds (and looks) incredible! 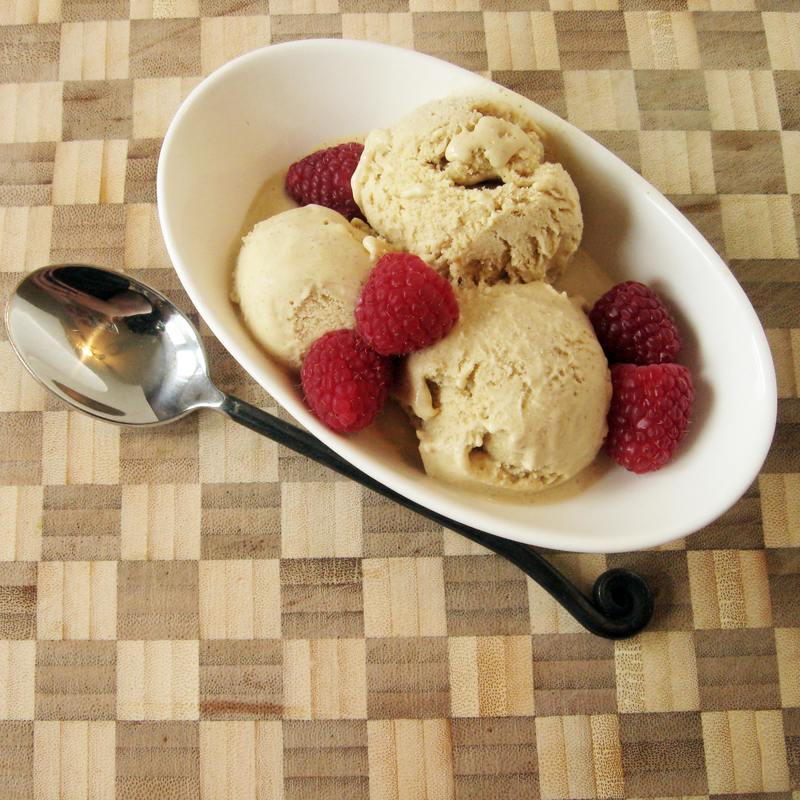 There's nothing like homemade ice cream. I agree! Homemade ice cream is so worth the effort. And it's really not that hard to do. Amazing flavor! I want this right now!